You can pull out the 2 black dispenser tubes at the sprocket end of the Scorpion Dual Injector to change the length or shape to customise it for your motorcycle. Spin the rear wheel backwards and forwards to be sure the dispenser tubes won’t foul on the teeth, sprocket windows or the sprocket retaining nuts spinning round. You can make them shorter and more rigid so they are less likely to waggle over bumps and you can also place the tips of the dispenser tubes more accurately on the sprocket faces. Remember to "mushroom" the ends in the flame of a lighter for a second before letting them cool and pushing them back into the rubbers to make them a tight fit. Disconnect the Scorpion Dual Injector from the clear delivery tubing coming from your Scottoiler reservoir, start your engine and set your Scottoiler to ‘prime’. If no oil flows, the problem lies with the reservoir, please see the product specific troubleshooting guide. If oil flows, the fault lies with the Scorpion Dual Injector, so please continue to next point. Take off the 2 black dispenser tubes and check if oil flows now. If oil flows, there is a blockage in the final dispenser tubes, so unblock with a pin or trim if necessary. You can also cut them at the ends at an angle and re-position them with the hole facing away from the sprocket to avoid it getting blocked by dirt. Ensure that the bike is upright and therefore the Scorpion Dual Injector is as near to horizontal (laterally) as possible. 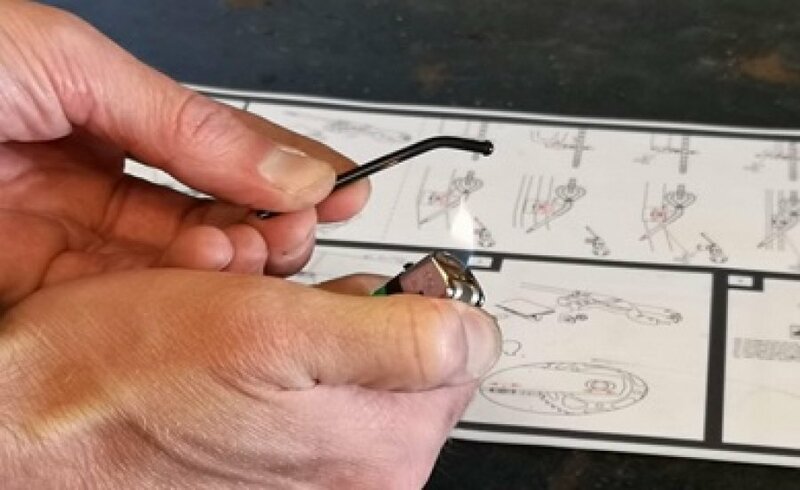 If one side of the Scorpion Dual Injector is lower than the other air will be able to enter the higher dispenser tube and allow oil to drain from the lower dispenser tube such as when the bike is set on the side stand. If your Scorpion Dual Injector is horizontal, but still leaking, check that there are no long air gaps in the delivery tubing below the reservoir. This can be caused by air entering around the connection to the Scottoiler reservoir or due to small holes in the tubing. Make sure the tubing is pushed all the way onto the reservoir and has not gone hard with age. If a Lube Tube is fitted, ensure it is not higher than the reservoir, as this can create a head of gravity, which can overwrite the closing spring in the vSystem or the check valve in the eSystem or xSystem. Replace Scorpion Dual Injector body and ensure it cannot be snagged by the chain or sprocket teeth, windows or retaining nuts. Rotate the rear wheel back and forth to ensure this doesn’t happen. Replace the dispenser tubes and ensure the tips cannot be snagged by the chain or sprocket teeth, windows or retaining nuts. Rotate the rear wheel back and forth to ensure this doesn’t happen.